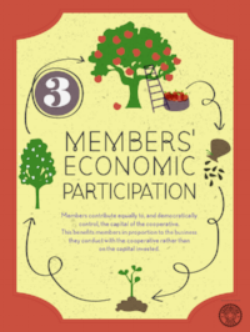 Support the cooperative economy in Central Texas when you join the ACBF Cooperation Club! Club members get special invitations to events and workshops and have access to other great thank-you gifts including our gorgeous Cooperative Principles posters designed by artist Christie Zangrilli. Your donation is a powerful way to make Central Texas a great place for Co-ops. Find out about benefits below. Thank You!